​Let the competition begin. We'll divide the group into teams and share a pedometer. 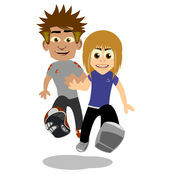 Each team member will be responsible for the pedometer for at least one day per week during the competition. Step your way to good health!